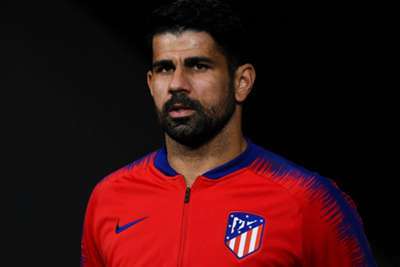 Diego Simeone emphasised the importance of Diego Costa ahead of the Atletico Madrid striker's potential return against Borussia Dortmund in the Champions League. Costa has been sidelined with a hamstring injury but the Spain international is in the squad for Wednesday's Group A trip to in-form Bundesliga side Dortmund. The 30-year-old has struggled for form this season, the former Chelsea star is yet to score in LaLiga, though he did find the net in Atletico's 2-1 triumph over Monaco in Europe. Simeone, however, praised Costa as he told reporters: "Diego Costa always give us physical and moral strength. "He is a very important player for the character he transmits to the team, and his potential as a football player. "He didn't play the last days, and we'll see if he is in the first 11 or not. He trained very well [on Monday], and he showed enthusiasm. "When he is enthusiastic, it makes the fans, his team-mates, and the technical staff happy." @Simeone: "@BVB are in great form"
Dortmund and Atletico are the runaway leaders in Group A with two wins from as many matches - Club Brugge and Monaco yet to register a point. Dortmund are also top of the table in Germany thanks to the goals of Paco Alcacer, who has scored eight times in all competitions since arriving from LaLiga champions Barcelona. "Regarding his football, we are not surprised," Simeone added. "He is a decisive player, close to the area, short moves that make the full-backs find him to finish the game. "And confidence is something so important for a player. Paco just found continuity and he has answered with something he did in the teams where he has that situation."